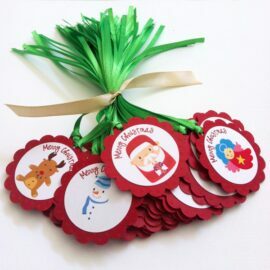 Santa Claus, Jolly Snowman and Christmas Tree are the 3 things that seem to come in mind when we think about Christmas. Who doesn’t love Santa and the Snowman? And what is Christmas without a Christmas Tree? 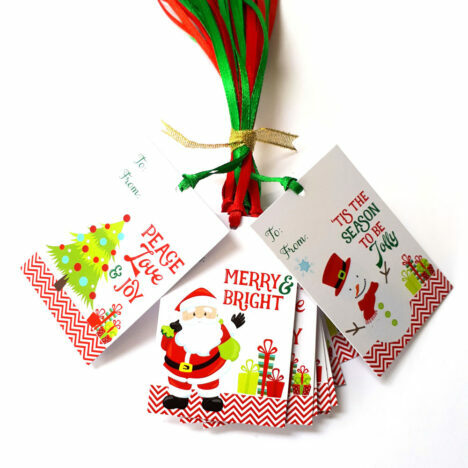 We are pleased to offer you these adorable Christmas Gift Tags where you will get all of these in one set. The bright colors are very happy. Such cheerful tags! In each set, you will receive 24 (twenty-four) Christmas Gift Tags. 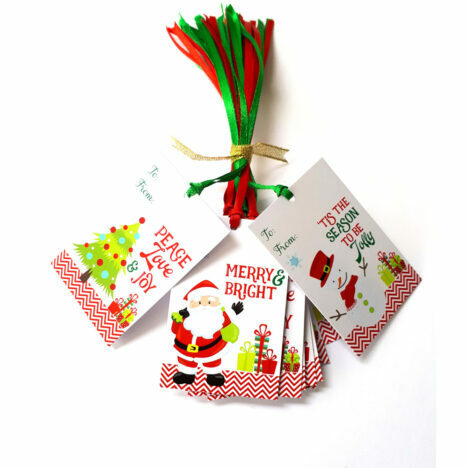 These are adorable Santa Claus, Jolly Snowman and Christmas Tree Holiday Tags, printed on white glossy cardstock, prestrung with red and green ribbons. 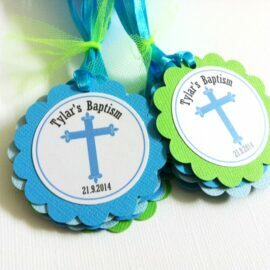 There are TO and FROM above the images where you can write the names of gifter and recipient. The backside is blank, giving you plenty of extra space to write massages. Very convenient! 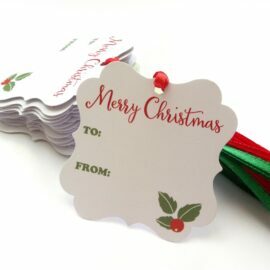 All you need to do is to write the names and tie the tag to your gift. Let’s make the gift giving simple. The holiday seasons should be fun and relaxing. 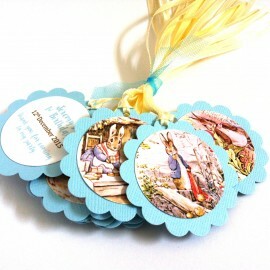 3 (three) different designs are included in each set and each of them is simply whimsical. ” Peace, Love & Joy”. 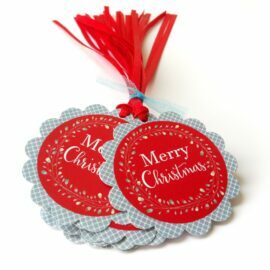 These Christmas Gift Tags measure 2 inches wide x 3 inches tall. Each of the items made by Adore By Nat is high quality material and professionally printed and carefully assembled. 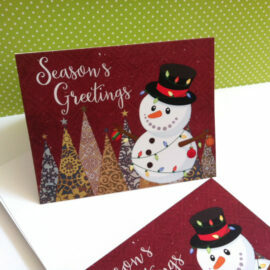 Check out our other Christmas products. 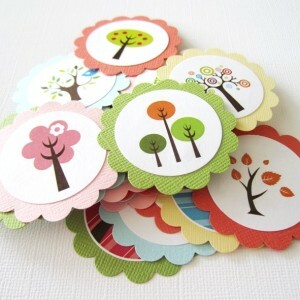 We have stickers, favor tags and gift card holders.